Gary Wolstenholme reviews the new compact Sigma 30mm f/2.8 EX DN lens for Micro Four Thirds and NEX systems. On Micro Four Thirds bodies, this lens provides an angle of view equivalent to a 60mm lens on a 35mm camera. 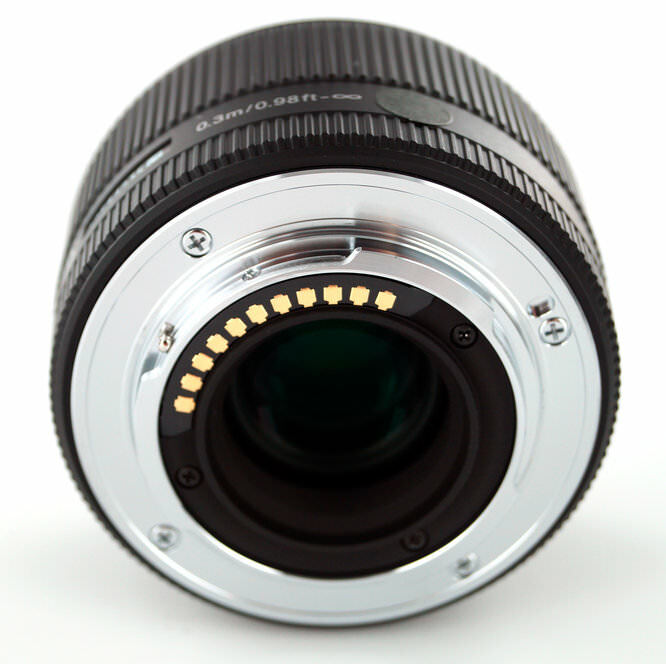 There isn't a current direct equivalent to this lens available for Micro Four Thirds with this lens plugging the gap between 25mm and 45mm lenses in the range. On Sony NEX cameras, this lens provides a moderate wide angle view equivalent to a 45mm lens used on a 35mm camera. Sony's 30mm f/3.5 Macro lens is the current closest equivalent. This lens costs around £190 and although the maximum aperture is a little slower it provides extra close focusing and life size magnification. Metal has been used for the lens mount and high quality plastics with a matte finish have been used for the lens barrel construction. Weighing only 130g, this lens is the perfect companion to smaller camera bodies, just like the Panasonic Lumix GF3 used for testing. As focusing is performed internally the 46mm filter thread does not rotate during use and the lens does not extend, making this lens ideal for use with graduated and polarising filters. Focus speeds are quick and the wide manual focus ring offers just enough resistance to make applying fine adjustments trouble-free. the linear focusing system employed does not hold the focusing group in place there is no power to the lens, so a disconcerting rattle can be heard when the lens is tilted, either off the camera, or with the lens removed. This is perfectly normal for the type of focusing system used. 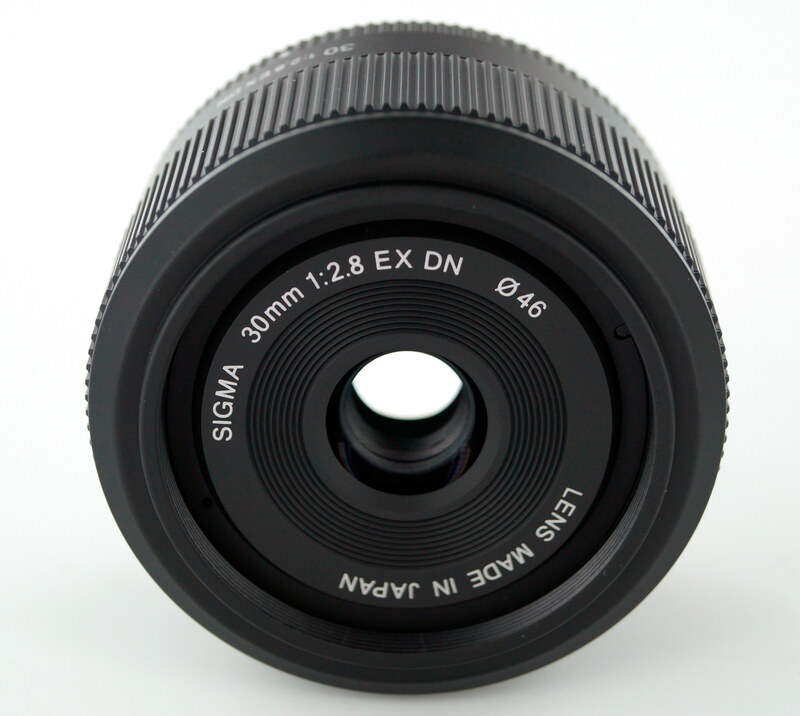 An updated version of this lens, the Sigma 30mm f/2.8 DN A (Art) version is now available, with the same optical performance as the original, however it is now available in black, shown above), or silver versions. The minimum focus distance of 30cm is great for shooting in claustrophobic environments and for taking close up images. 1:8.1 is the maximum magnification possible, which is a fair way off what could be considered macro, but is fairly typical for a lens of this type. At maximum aperture, sharpness is already outstanding in the centre of the image, and very good towards the edges. Stopping down the lens improves sharpness across the frame as far as f/5.6, where the clarity is outstanding across the frame. 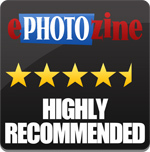 For this review, the lens was tested on a Panasonic Lumix GF3 using Imatest. 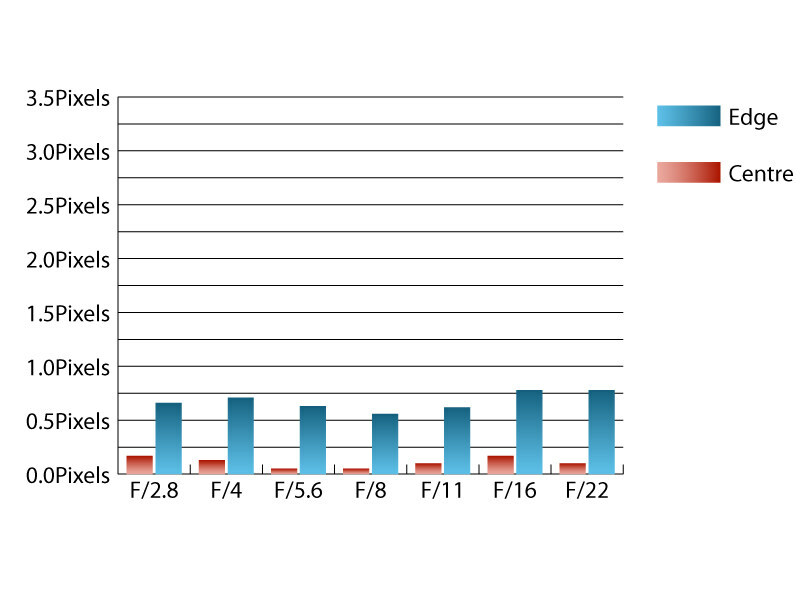 Chromatic aberrations are kept low at all aperture, peaking at just over 0.75 pixel widths at f/16 and f/22. This low level should pose few issues, even with large prints and harsh crops from near the edges of the frame. Falloff of illumination towards the corners of the frame is well controlled. At f/2.8 the corners are only 0.9 stops darker than the image centre and visually uniform illumination is achieved by f/5.6. 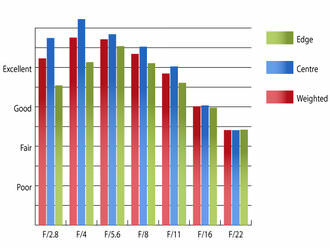 Mild barrel distortion of 0.821% is present, which shouldn't pose issues in normal shooting. If absolutely straight lines are required, the distortion is quite simple to correct as it is uniform across the frame. A lens hood is not supplied with the original version, but is provided with the new DN A (Art) version), although this lens proved itself pretty resistant to flare in testing. When shooting into the light, some flare may appear, but only in extreme circumstances. During testing this lens proved itself capable of producing excellent results, even at maximum aperture. The light weight, fast autofocus and excellent build should win this lens many fans, especially with the price being so competitive. 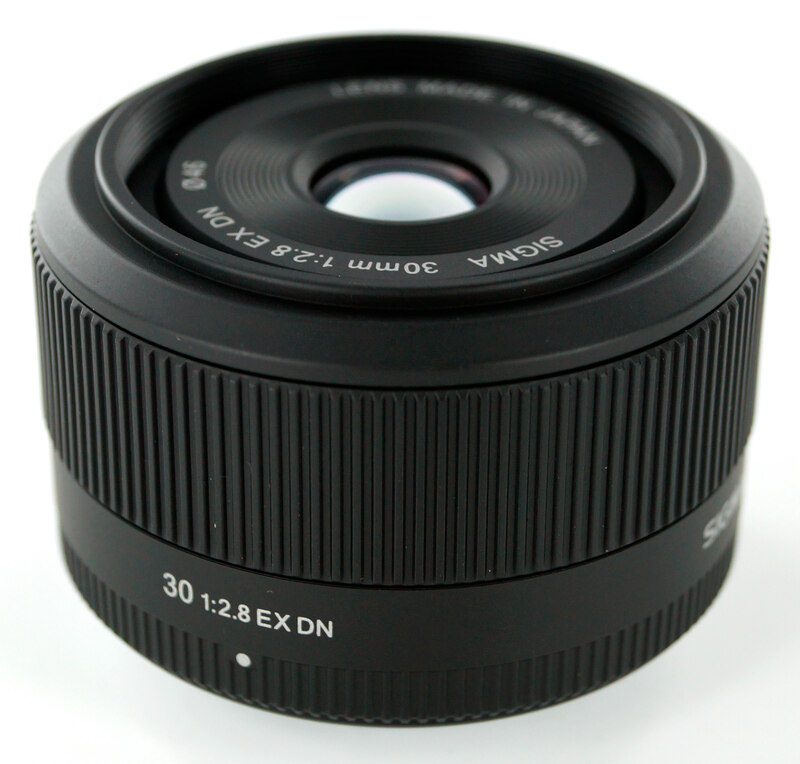 The Sigma 30mm f/2.8 EX DN is an excellent lens offered at an extremely competitive price. Micro 4/3 users are getting quite spoiled for choice of top quality lenses these days. 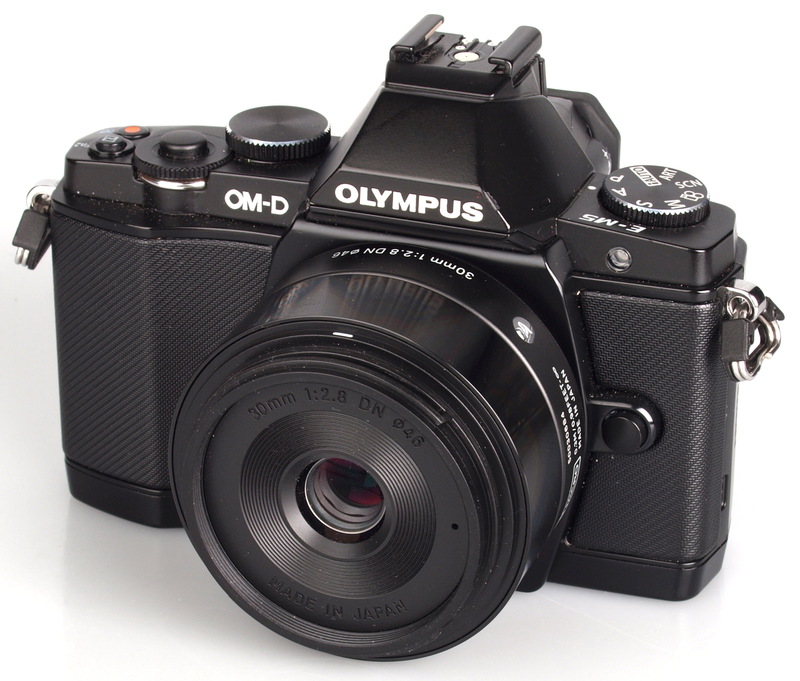 This one's not a focal length I need but what a performer for £160! 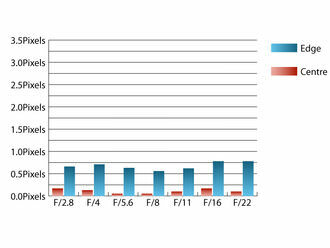 I'm wondering if this will fully function (F-stop & Autofocus) with Panasonic GH2 and /or GH3? Any feedback? Thanks in advance!! I'm wondering if this will fully function (F-stop & Autofocus) with Panasonic GH2 and /or GH3? I have it on a NEX-7. Excuse the build quality, the performance is amazing, and the price is very reasonable.